New year, new school bag. Finding the perfect bag for university or college can be difficult. You need the bag to be functional and stylish, and ideally individual so as not to get confused with anyone else’s. Starting the big wide world of a new college can be daunting, so make sure you have peace of mind, knowing that your bag has got your back! As a teacher, with a college aged son, I know that your bag can get pretty heavy with books, stationary and other bits you need to carry for your day, not to mention extra room for lunch and snacks. I’m going to look at three different school bags today and see how they fare against each other in the real test of a day in the life of a student. Make sure you’re top of the class with a cool and functional carrier! This amazing backpack is really awesome (learn more here!). The quality and feel of it is just incredible. You can really tell that they’ve used the highest quality materials here. It doesn’t feel flimsy, and of course at a higher price you’re getting the quality you’ve paid for. Of course the main function of this backpack is not to be on the latest trend, but I can’t help but say something about this backpack is really just…cool. Its effectively simple with very small and subtle details, and my son absolutely loved it. First thing I noted was the excellent size. My son could easily fit in everything he needed on top of his 15 inch laptop. There are all together 12 different storage compartments of varying sizes which are amazing to keep everything organised and separate in your bag. Which I know is super important given the amount of stuff most students carry around in there. I’ve emptied my sons bag out after school before and goodness me it can be crazy in there. I also noticed the texture of the backpack, it has a waterproof and dirt proof coating which is essential for college life. I know that back is going to get thrown around, sat on, things spilt on, rained on and who knows what else! The thick padded air mesh straps provide amazing comfort and hardly any strain on the shoulders, I’ve experienced first hand the backache that can come with a heavy backpack. 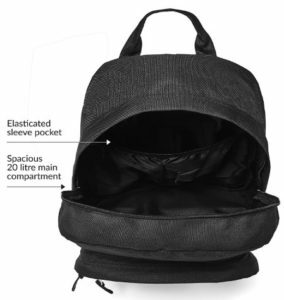 It also has anti-shock cushioning inside the bag to protect your belongings, especially the laptop! The inner lining is super soft, with air-velvet material, to ensure that your laptop won’t scratch even with the most heavy handling. New Coated – new design and innovative coating process for a waterproof, dirt proof and lightweight bag. Overall I really love this bag. It was perfect for my son and his daily use at college. It was a little on the pricey end of the range but I can’t see this bag breaking any time soon. It feels really durable and strong and I love the classic black style. I would definitely say this bag was worth the money, and would buy again even for myself or the rest of the family. When I saw this Fresion bag, I decided I wouldn’t be letting my sons test this one out. It was just too nice. So I decided to see how it would fair in the day in the life of a teacher! With many different classes and a lot of things to carry and organise, I really need a bag I can rely on. This amazing briefcase come handbag come backpack was really blowing my mind! At first glance, we have a smart brown briefcase with a lot of handy zip pockets, and buckles to keep things extra secure. Then I find inside a shoulder strap, so having attached the shoulder strap. Now we have a handy little shoulder bag. Ok. This is looking good. – Hold on…Whats this? Backpack straps on the back? Wow. So when your bag is getting pretty heavy, just sling it over into the backpack style and take the weight on both shoulders on the super comfy shoulder straps! I’m impressed. Backpacks are undeniably handy, but sometimes its just not the time or the place. This bag is so easily converted it could be used for anyone. Perfect for school, work, travelling, hiking, camping, or just everyday general use! This really is a bag for everyone. I could see anyone in my family using it. It comes in a variety of colours and with all the various compartments it serves its purpose for anything! With two main pockets, nine smaller outer pockets and three inner small pockets, you can make sure everything or secure and organised. 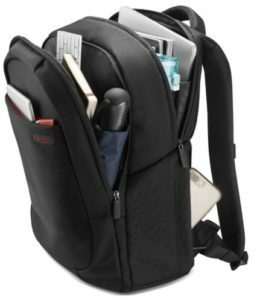 It has a separate compartment specifically to hold up to a 14 inch laptop, A4 sized books or folders, or anything else you might want to put inside! Its made from high quality leather and canvas, and it looks and feels amazing, its pretty lightweight for what it is, and its super practical and durable. I’m positive from the feel of this bag that is will withstand the heaviest of duties. 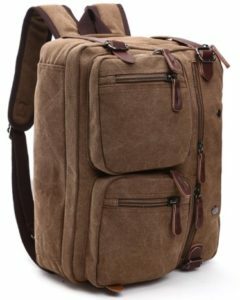 I would really recommend this bag. I was able to carry literally everything I needed for my day, and when it got very heavy, I converted it into the backpack feature to balance the weight. I was able to carry all the books and documents I needed, along with lunch, flask, and all the other little bits a woman might keep in their bag. It was all so well organised and easily accessible. I received many compliments on the style of the bag, which I agree is very smart and trendy, and the brown leather and canvas compliment each other really well. The canvas gives the bag a slightly less formal “briefcase” style which is nice. It is also extendable to give an extra 2.5cm of space. My son took this bag for a weekend away and managed to take literally everything he needed. Honestly the bag continues to amaze me, i’m completely in love with it, and I would say its worth the money, but it was such a good price i’m going to say it was an absolute bargain! I highly recommend it to anyone. Here we have the Markfield hard wearing black backpack. For me you can’t go wrong with the classic black backpack. You know what you’re getting, and they’re durable, comfortable and easy to use. When I bought this backpack for my son I was firstly really impressed with the price. This was really a bargain. With him being quite a picky, trendy teenager, I was a bit worried he wouldn’t be happy with one of the more budget range backpacks, but we opened the package and it felt so high quality and looked super smart. So there were no complaints there! It’s quite spacious and was able to carry everything my son needed for college for example all of his books, laptop and stationary. The main compartment is 20 litres so there’s plenty of space and he could even take his lunch with him. Its super strong and practical and also had space for his 15 inch laptop, school books and stationary. It is made with a super lightweight material and has thick adjustable mesh shoulder straps to prevent any digging into the shoulder or neck, as the capacity of the bag means it could get pretty heavy. I was pleased to find the separate zippered compartments to keep his smile valuables like phone, student card and wallet safe. Knowing the tendencies of a teenage boy this gave me a little bit of peace of mind. 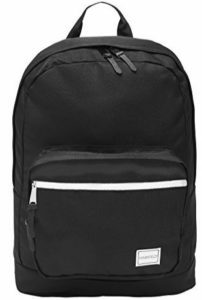 The Markfield backpacks also all come with a 100% lifetime guarantee that you are fully satisfied with the product or you will receive your money back. Which is really nice to hear, knowing that the company fully backs their own products and guarantees high quality, and you can really feel the quality with this bag. The stitching is super heavy duty and the fabric is waterproof so you can really see that this backpack is built to last. Choice of colours – so you can choose the colour that suits you best! At a price this low you can’t deny that this bag is a really excellent choice for my teenage student son. But after looking at how well it functions every day I’m positive this bag would suit anyone. It would be perfect for work, traveling, gym, everyday use, anything really! I’ve got my eye on the pink colour which is really adorable and would be great if you like something a little more colourful! It really functions excellently in the test of everyday use, and is so strong that even when loaded with laptops and books and water bottles and things like that, the stitching doesn’t show any signs of stress. 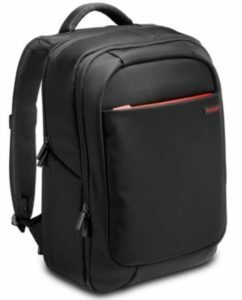 I was thoroughly impressed with this nifty little backpack and should it need replacing after years of wear and tear, I won’t hesitate to purchase one again. For me the clear winner out of these three bags has to be the Brown Leather convertible messenger bag. It just served me every purpose I need throughout my day. It was so so easily converted into many other awesomely functional bags, and everyone in my family was able to use it for different purposes. It was an excellent price, and for something at the lower end of the price range, it really functioned as if I’d have paid an arm and a leg for it. I would have paid much more. My sons really loved all of the bags, and the black backpack is of course a timeless classic, that you can’t really go wrong with. They were both excellent bags, but I would say that the difference between the first backpack, at the high end of the price range, and the second backpack, at the budget end, just wasn’t noticeable. I personally wouldn’t pay full price again for the first backpack, despite its excellent performance. In terms of all round functionality and value for money, the messenger bag is just amazing. I definitely recommend it and would buy it again for other people or to replace it when it needs replacing. Very happy students and teacher here, having had the stress taken out of the inevitable back to school worry!